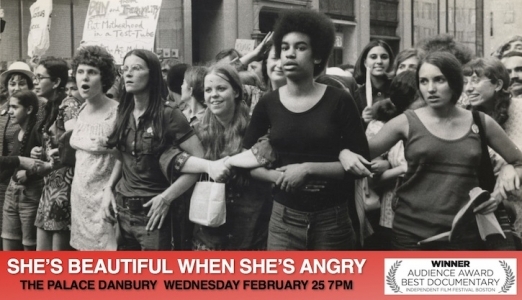 In recognition of our history and our work, The Palace Danbury has invited the Women's Center to facilitate a conversation at their showing of "She's Beautiful When She's Angry," a documentary film that looks at the women's rights movement during the sixties and early seventies. Come and be re-energizied, share your thoughts and memories, kick off March's Women's History Month, and learn how we - and you - can continue to build on these roots. For more information, please visit www.thepalacedanbury.com.